But there were are no immediate plans to activate the maximum security level, which indicates an imminent threat of an attack. Police in Belgium received an alert warning them of ISIS militants planning attacks in Belgium and France. BRUSSELS (Reuters) - Belgian police have received an anti-terror alert warning that a group of Islamic State fighters recently left Syria en route for Europe planning attacks in Belgium and France, a Belgian security source said on Wednesday. 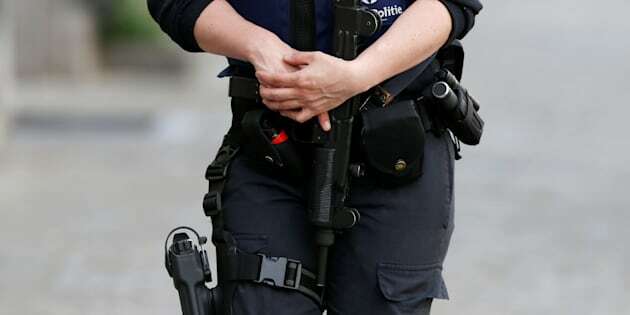 The Belgian crisis center in charge of coordinating security responses said an alert had been circulated to all police forces in the country but there were no immediate plans to raise the security level to the maximum that would indicate an imminent threat of an attack. A source at France's Interior Ministry said Belgian authorities had transmitted a note to their French counterparts, who were currently reviewing the information in the alert. "We know the threat is very high," the source said. "We're reviewing all the elements (in the alert)." Newspaper DH quoted the alert from Belgium's anti-terror cell as saying the group "left Syria about a week and a half ago aiming to reach Europe via Turkey and Greece by boat without passports", without giving an exact departure date. The Belgian security source confirmed the contents of the alert. The Belgian federal police declined to comment and the French source could not confirm the content. DH said the fighters were armed and aimed to split into two units, one aiming to carry out attacks in Belgium, the other in France. Potential targets in Belgium included a shopping center, a fast-food restaurant and a police station. It mentioned no specific targets in France, which is hosting the Euro 2016 soccer championships in 10 stadiums across the country until July 10. Some 2.5 million spectators are expected to watch the 51 matches. "We know there are fighters who are coming back (to Europe)," French government spokesman Stephane Le Foll told a news conference on Wednesday, adding he could not confirm the specific alert from Belgium. The alert came two days after an attacker who pledged allegiance to Islamic State killed a French police commander and his partner at their home outside Paris, and four days after a gunman declaring loyalty to the Islamist militant group massacred 49 people in a gay nightclub in Orlando, Florida. The alert came days after a gunman who pledged allegiance to Islamic State killed 49 people in a gay nightclub in Orlando, Florida. Belgian authorities raised the threat level for the capital Brussels to the maximum of four shortly after the Nov. 13 Paris attacks that killed 130 people and after suicide bombers killed 32 people at Brussels airport and on the city's metro on March 22. The status was lowered on each occasion after a few days. Belgian police have arrested a number of men of Moroccan origin suspected of direct or indirect involvement in the Paris and Brussels attacks. A spokesman for the Belgian crisis center said that despite the latest alert, the body that sets the security level did not have any indication of an imminent threat. "We are still at level three, which refers to a threat that is serious, and we have been at this level since November," he said. "It is true that you should be careful in areas with large concentrations of people... Security has already been reinforced at all these targets. For now, there has not beena change."